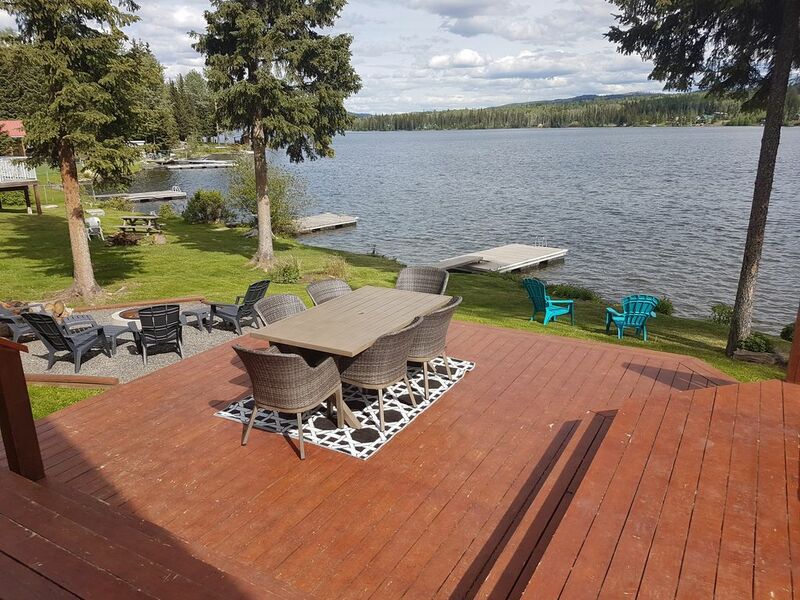 This home is an amazing lake house on Deka lake with private dock and hot tub. I’ve rented before myself and let me put your mind at ease. We have a premium cable TV package. 2 high definition flat screen led tvs. One in a bedroom and one in the main family room area wall mounted. Full normal electricity, hot and cold water with filtration system. You are more than welcome to use our inflatables boats, inner tubes, hot tub etc. My home has new stainless appliances including state of the art laundry set, microwave, BBQ and dishwasher. The home is set on a half acre of property and has 100ft of Prime waterfront. This place is anything but rustic. It has multiple fans, and a air conditioning unit upstairs. As for furniture outside it has a brand new luxury patio set, umbrella, loungers, lawn chairs with ottomans and a fire pit. The house has full cell coverage in the area. As for the lake, it’s crystal clear, 17 kilometres long and consistently ranked as one of the best boating and fishing destinations in BC. Any other questions feel free to ask. This property is lakefront with a private dock.